He tends to behave indifferently or even coldly but it's all for Jump's authors and editors to regain their spirits. He has a good eye for manga and believes it's most important for a manga to be interesting. He's not afraid to make a gamble in order to make the magazine better, but will not put authors' lives at risk. 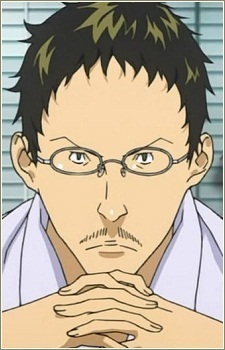 He knew Saikou's uncle, Kawaguchi Taro, since he was the Assistant Editor-in-Chief at the time Kawaguchi Taro had to quit.